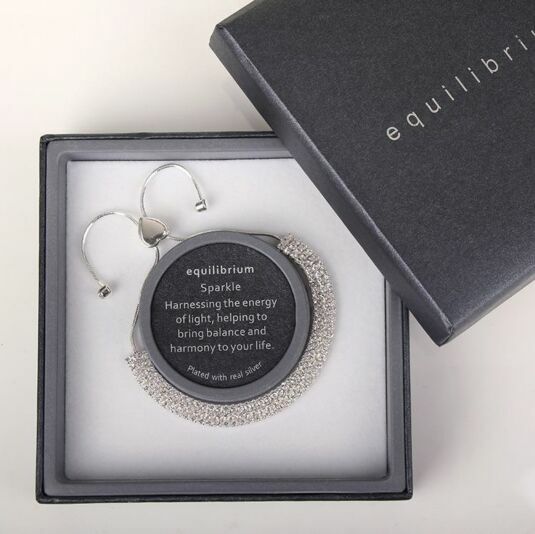 Be bedazzled with the beautiful silver diamante bling bracelet, part of the Equilibrium jewellery collection. The bracelet comes in a wonderfully presented gift box, when you take it out; you see how the bracelet gleams in the light. Its silver plated all over and features three rows of beautiful crystals that glisten in any light, to adjust the slack, there’s a heart shaped pulley and at the end of each chain you will find crystal embellishment. 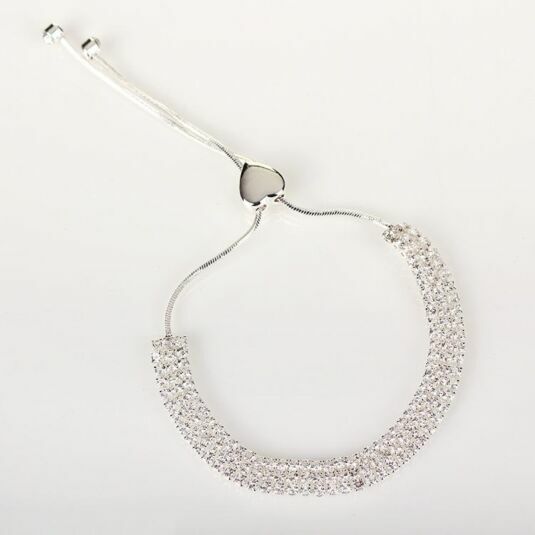 This sparkly bracelet is a beautiful accessory for an evening dress, special occasion, or just looking fab. This would be a great gift for a girlfriend or wife at birthday and Christmas.